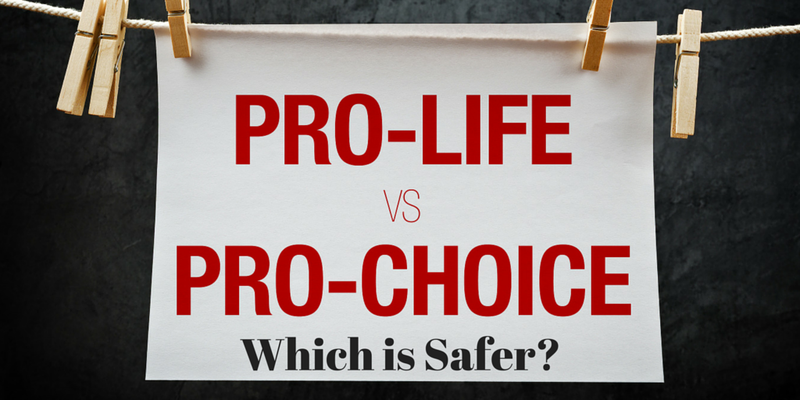 The topic of women’s health is always in the news, and the latest publicity involves the “abortion is safer than childbirth” claim. But how valid are those claims? Is abortion really safer than normal childbirth? Aside from the fact that abortion is obviously unsafe for the mother’s fetus, let’s take a look at the topic from a women’s health standpoint. Those who support a woman’s right to an abortion typically claim that terminating a pregnancy early is much safer than actually carrying a baby to full term. Is that actually true? Are there any studies that refute that argument? We recently reviewed some research and some court cases, and we found solid evidence that helps dispel the myth that abortion is a safer alternative than regular childbirth. A recent study by Dr. Priscilla Coleman and Dr. David Reardon illustrated just how dangerous abortion is for women’s health. Interestingly, the dual-doctor study showed that women are twice as likely to die in the first 12 weeks following an abortion. For women who’ve had an abortion, their death rate is three times higher than other women in the 12-week to 52-week period after an abortion. Another independent study sheds light on statistical accuracy; while deaths from childbirth are mostly documented and accounted for, many deaths from legal abortion aren’t registered. Plus, as Dr. Reardon showed, the chance of maternal mortality in subsequent pregnancies increases after a woman has an abortion. A recent U.S. District Court case in the Western District of Wisconsin was another rebuttal to the abortion is safer than childbirth myth. In the case, Planned Parenthood of Wisconsin (along with Milwaukee Women’s Medical Services and two doctors) acted as plaintiffs against a collection of defendants, including individuals and doctors. Acting on behalf of the defendants, John Thorp, Jr., MD, constructed a meticulously detailed defense against Planned Parenthood’s stance that abortion is much safer than childbirth. The Turning Point Pregnancy Resource Center is a 501c3 non-profit organization in the greater San Diego area. We’re advocates for women and we understand that an unexpected pregnancy is a shared experience for many women. Funded by community efforts, Turning Point, has the unique ability to provide medical services at no-cost to our clients, a vital service to the San Diego community. Our goal is to provide you with support while empowering you to make an educated and informed decision. For more information about Turning Point please call our main office at 858-397-1970 or send an email info@mmpregnancy.com. We respect each woman’s right to privacy and ability to make her own decisions. All of your personal information is kept in complete confidence.